Recently a Schalk Cronjé forwarded me a tweet from Joshua Lewis about some unit tests he’d written. I took a quick look and thought I may as well turn my comments into a blog post. 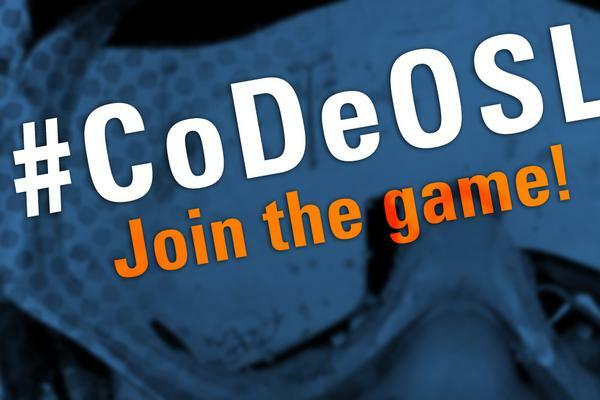 You can see the full code on github. Why would we use member variables in a test fixture? The fixture is recreated before each test, so it’s not to communicate between the tests (thankfully). In this case it’s because there’s a lot of code in the setup() method (see comment 2) that initialises them, so that they can be used by the actual tests. At least it’s well laid out, with comments and everything. If you like comments – and guess what – I don’t. 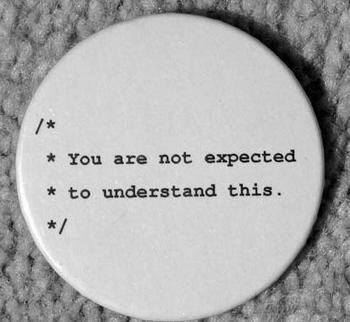 And they are wrapped in a #region so we don’t even have to look at them, if our IDE understands it properly. I admit it, I don’t like setup()s – they move important information out of the test, damaging locality of reference, and forcing me to either remember what setup happened (and my memory is not good) or to keep scrolling to the top of the page. Of course I could use a fancy split screen IDE and keep the setup() method in view too, but that just seems messy. Why is there so much in this setup()? Is it all really necessary? For every test? Looking at the method, it’s hard to tell. I guess we’ll find out. The discussion progressed through a short deck of slides with big ticket titles. Plenty of interesting things were said (mostly by other people), but the main insight I had was that the practices discussed are applicable at any scale. Meanwhile, here are a few edited extracts from my musings on the video. How do you practice huge scale deployments? How did the teams at Amazon make it work? I’ve been working with a number of larger, older organisations recently and it has really brought home to me the difference between the promise of a nimble, responsive teams and the reality of a sluggish, bureaucratic behemoth. Then, looking back over years of writings, posts, promises and dreams I see frequent repetitions of the phrase “Agile says that …” What? 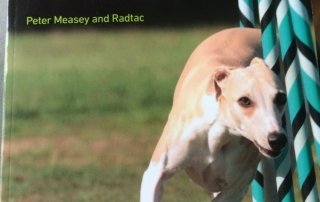 What exactly does agile ‘say’? I’m not going to invoke the manifesto. It’s there if anyone wants to look at it and it is a valuable historical document. Its contents are as relevant today as they were when they were written (tinkering aside), but it is declarative not imperative. It is aspirational not procedural. We can’t ‘implement’ it or ‘transition’ to it. Instead we have the plethora of methods that existed at the time of its original drafting and a few more besides. Many of them include recipes, processes, state diagrams – but they don’t seem to reliably help organisations improve their ability to deliver. These organisations need to change, but not according to some checklist brought down from the agile mountain chiselled in stone. The agile values and principles help us suggest ways of change, but that’s as far from a recipe as the contents of a box of oatcakes are from the serving suggestion in the picture. There are plenty of winds in the world. There are the four winds. There are the trade winds. There are the winds of change. And there is… how shall I put this delicately?… bottom wind. Today I’m in London for the first day of SPA 2015. I was early to the venue and I went to the registration desk to sign in. “What’s your name?” asked the receptionist. “No. You’re not registered” she said. After a few minutes of spelling out my name, and searching around on the database she did find me. She looked up at me and said: “You are Rose, Sebastian”. It’s true she was not a native english speaker, and that I have a slight accent, but even so I think you’ve got to assume that I know my own name. The reason I bring this up is that it’s something that happens a lot in all walks of life – people assume that the system is right, its data canonical. There’s no reason to believe this – it’s a form of institutional hubris. Start from a more humble position. 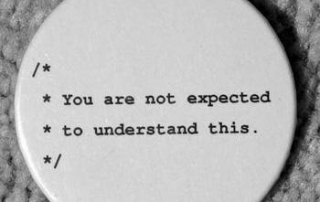 Accept the possibility of ignorance, the likelihood that the problem is rooted in the system not the customer. 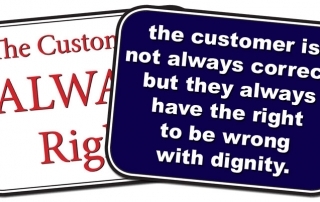 And even when it turns out that the customer is the cause of the error remember that it’s probably a failing of the system that allowed them to screw up anyway. 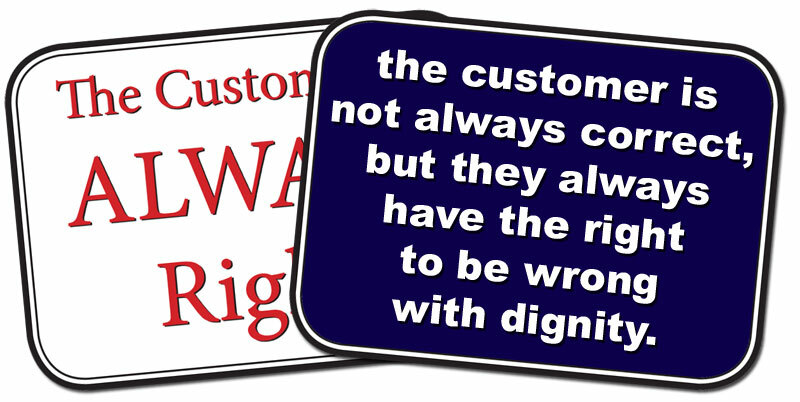 The customer is often right, and when they’re not it’s not good business to rub their nose in it. If you’d like to see more, please Tweet with the hashtag #cdBranching indicating which (if any) you’d like to hear more about. I really wanted to dislike this book, and in some respects I managed to achieve my goal. 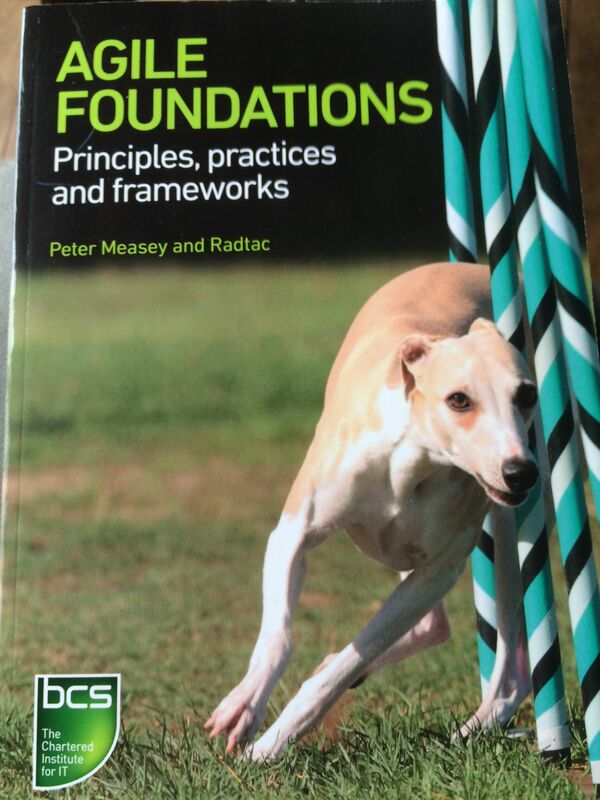 This is a book published to support yet another spurious agile certification (YASAC? 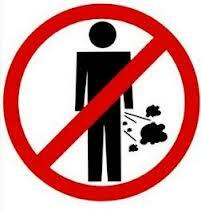 ), and I really don’t like that. 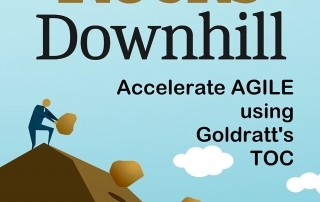 The authors continuously use ‘Agile’ as a capital-A, noun, rather than the lower-case-a adjective that it clearly ought to be, and I have ranted about that before. And then they resort to anthropomorphising in the fashion “Agile doesn’t say …”, which I find hugely objectionable. On the other hand, this book does deliver on its claim to provide “a comprehensive introduction to the core values and principles of Agile methodologies.” It describes, without too much embellishment, the fundamental and constituent principles of approaches that support a responsive development process. This book really triumphs by continually going further and offering the reader broader avenues of discovery. There are continuous references to techniques, approaches and research that go far beyond the usual agile trivia. 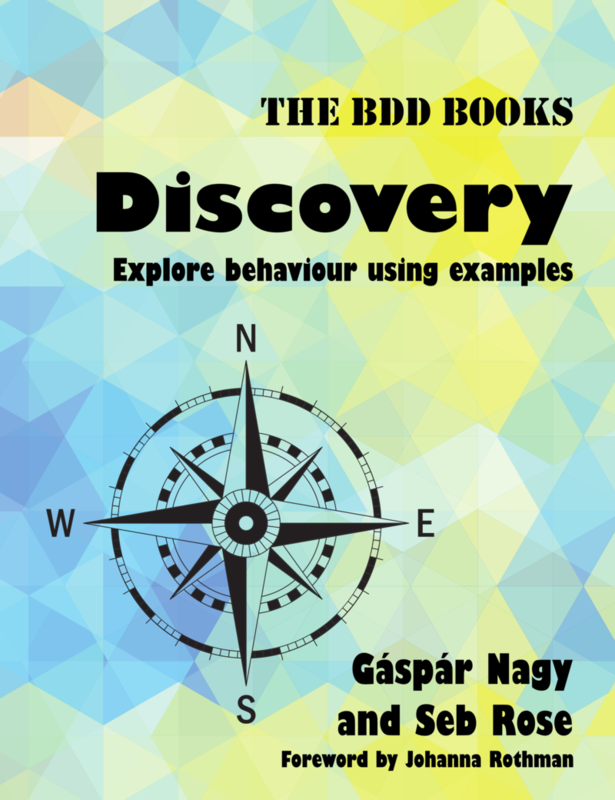 There’s mention of BDD, Real Options, Feature Injection, Cynefin, Maslow’s hierarchy of needs, Reinertsen’s economic model and Kotter’s 8 stage model – to name just a few. 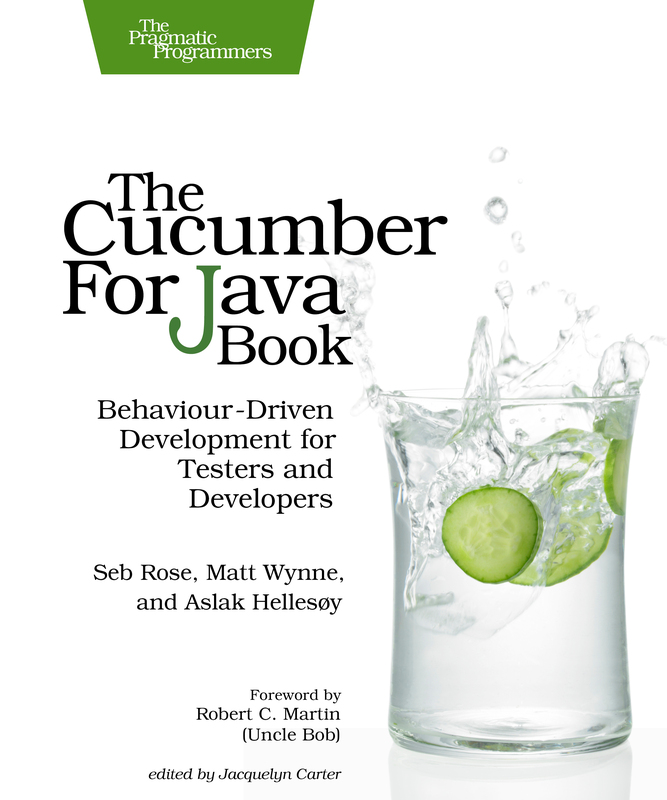 Some of these are explained in reasonable detail, others are just mentioned in passing, but all contribute to making this book a valuable resource for someone who wants to escape the narrow confines of a typical agile transformation. There’s more to it than stand-ups and planning poker, after all. 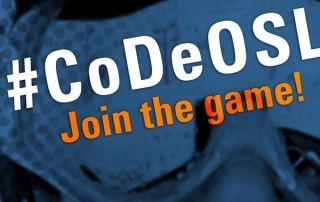 Last week I was at the CoDeOSL conference in Oslo. It was an interesting day, with some very good sessions, but as usual it was conversations had in the breaks that were of the most interest. I’d like to describe two discussions that I had that seem, on the face of it, to be in conflict. The night before the conference there was a meetup in a bar just around the corner from the conference hotel. I arrived a bit late and tired (because I was still recovering from the ACCU conference which had finished the previous Saturday) and struck up a conversation with Mike Long (who was also recovering from the ACCU conference). We were talking about patterns of interacting with source control that support continuous delivery – specifically the Automated Git Branching Flow that has been proposed by JOSRA. Adopting this process (using the Open Source Jenkins plugins provided) leads to a flow that requires developers to merge from trunk before pushing their changes. As long as the automated merge to trunk that results from this push is a fast-forward merge, then everything is good. If it isn’t, then the push fails and the developer has to fix the problem locally, before attempting to push again. 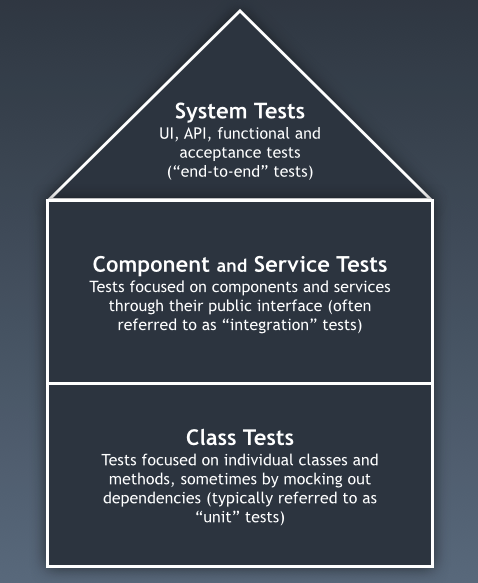 how we mock-out the data access code to create quick-running “unit tests”? The short answer is don’t bother, unless you really need to. I’m going to invoke the rule of 3 to try and lay out why I disagree with Simon. 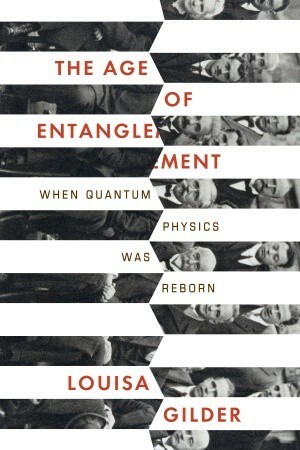 I’ve just read The Age of Entanglement : When Quantum Physics was Reborn by Louisa Gilder. It’s a tremendous book, looking at the interplay between great physicists over the whole of the 20th century. 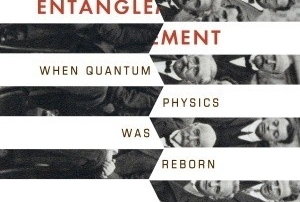 If you want to learn about quantum physics itself, this is probably not the book for you, but if a mix of science and history is your thing, then I can’t recommend this book enough. But that’s not why I’m writing this post. As I read the book, there were two passages that jumped out at me because they were so relevant to experiences I have regularly. 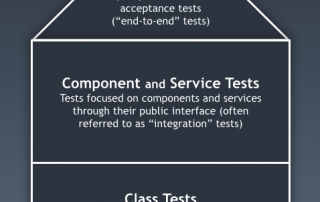 One was about testing and the other was about collaboration. Maybe I shouldn’t have been surprised, but there you have it – I was. It’s almost a year since I posted a glowing review of “The Phoenix Project” – a business novel, following in the footsteps of Goldratt’s “The Goal”, about continuous delivery. If you haven’t yet read it, then I’m going to recommend that you hold fire, and read “Rolling Rocks Downhill” by Clarke Ching instead. I should point out that Clarke is a personal friend of mine and a fellow resident of Edinburgh, so I may be a little biased. But I don’t think that this is why I feel this way – it’s just that Clarke’s book feels more real. 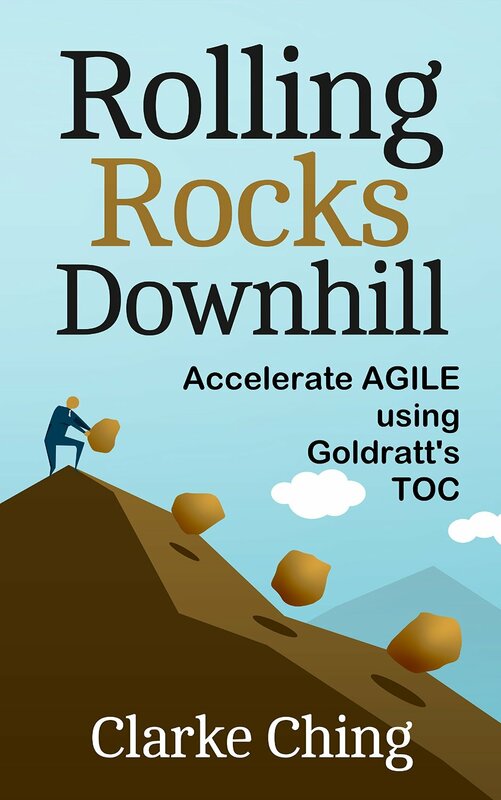 Both “Rolling rocks….” and “Phoenix…” have a common ancestor – “The Goal”; both apply the Theory of Constraints to an IT environment; and both lead eventually to triumph for the team and the lead protagonist. There’s something decidedly european about Clarke’s book, which makes me feel more comfortable. The reactions of the characters were less cheesy and I really felt like people I know would behave in the manner described. (Maybe that’s because these characters really are based upon people I know ;)) There really are cultural differences between Europe and North America, and this book throws them into sharp relief. The inclusion of the familiar problems caused by repeated acquisitions and a distributed organisation only added to the feeling that this story actually described the real world, rather than an imaginary universe powered by wishful thinking. The only time that my patience wore thin was around the interventions of the “flowmaster”, Rob Lally, who is ironically a real person.